Beauty & Lifestyle Crush. : Birthday presents | Finally 17! Aloha, I have finally reached 17 huurrah! This is what I got for my birthday as presents, I also got money which I'll blog about once I have spent all of it! New look: green head band, Pig purse (I use it as a phone case), also both earings. Boots: Thick and fast mascara, Fabulipstick lipstick. LUSH: Gift - Blooming beautiful and the comforter. Wilkinsons: Candle (It smells beautiful. 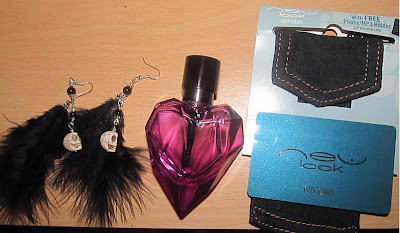 I also got money which i'm going to do a haul with very soon! Thank you for reading, dont forget to follow. Cute :) Happy belated birthday! that pig purse is soo cute!! happy birthday too!! just found your blog, it's brill. i have a new post up if you want to take a look!